I have been reading Domagoj Margetic’s book called “Banking Mafia” (2008) describing the money laundering that took place after the collapse of the Former Yugoslavia. A big player in this scandal was Hypo Group Alpe Adria bank. As somewhat versed in financial language, reading in Margetic’s book about € 100 billion of money laundered from Croatia and Serbia, completely affected destruction of the financial banking system in the Former Yugoslavia before, during and after the split of the country. It was also a big enough of a figure to enrich the 200 Croatian political elite families allowing them to capitalize some of their private ventures in the region. This is what economists would call ‘transition of wealth’ from socialist into capitalist hands, a term not exempt to irony, mostly because the money that was stolen came from employee-owned companies and employees whose lives were stripped from their own retirement packages, etc. € 100 billion was a big enough of a chunk, to continue to enquire more about Hypo Group Alpe Adria, and who originated these operations, helped during origination and made some serious profits. The most concerning in this whole money laundering scheme is a strong connection to arms-dealing and ultra-right wing nationalism which continues among masses as the feeding frenzy in Croatia, today. The Hypo Group Alpe Adria (HGAA) is an Austrian banking group with numerous cross-border activities in eight (8) countries of the Alps-Adriatic region. Its network of branches and offices extends from Austria through Italy and Liechtenstein, from Slovenia through Croatia, Bosnia-Herzegovina, Serbia, Montenegro, Hungary and Germany on to Brussels. Hypo Group Alpe Adria aims to become the leading commercial bank in the Alps-Adriatic region. There are three strategic business sectors of the Hypo Group—banking, leasing and consulting. The Group’s owner share includes: 100% Republic of Austria. Much of the below research, often word-for-word, is taken from Nachrichten Heute (click on the link to follow to the source, and I own no rights to neither research nor to the attached picture found on the web). Dates have been checked, and in certain instances, more details have been added. In May 2007 the BayernLB (owned by the German State of Bavaria) bought 50% plus one share (controlling stake) of HGAA, Austria’s fifth largest bank, for € 1.63 billion. The majority shareholderin the BayernLB was up to then the Austrian county of Carinthia/Kaernten, whose governor was Joerg Haider, ultra-right winger and well known for his praise of Adolf Hitler’s labor market policies and his derogatory remarks about foreigners as well as asylum seekers. When in 2000 his Party, the FPOe or so called Liberal Party of Austria, formed a coalition government with the OeVP, Israel recalled its ambassador from Vienna and the European Union reduced its contacts to Austria to a minimum. In early 2008 it was revealed that BayernLB had made large losses due to investments in sub-prime mortgage securities in the United States. Although the extent of these investments has been the topic of speculation, it was revealed from the company’s Second Quarter (Q2) 2008 financial report that over €24 billion had been invested in critical securities, with losses of €2.3 billion in 2007 and a further €2 billion in the first quarter of 2008. On December 14, 2009, BayernLB, Kärntner Landesholding and Grazer Wechselseitige Versicherung, sold their stakes in the bank to Austrian government for one Euro each. HGAA was nationalized by the Austrian government to avert a bank collapse. Hypo Group Alpe Adria, however, was not a stranger to controversies since its inception. A man by the name Robert “Bud” McFarlane, security adviser to former US President Ronald Reagan at the time of the Iran-Contra scandal (resigned in 1985, convicted and pardoned by President George H.W. Bush on Christmas Eve 1992 along with the other key players in the scandal, during the lame duck period of Bush’s presidency) and was at that time an adviser to the mercenary company AEGIS Defence Services, headed by Tim Spicer, on a Pentagon contract in Iraq, was with others founding a bank by the name of Czech Industries. The company was in 1996 merged with a company Eastbrokers International, in which a certain Wolfgang Koessner from Vienna became a shareholder. Wolfgang Koessner brought with him a Bank in Austria by the name of WMP AG, which was now merged with Eastbrokers to be named Global Capital Partners. However disagreement led Koessner to disengage from Global Capital Partners and after the Global Capital Partners issued more shares, Koessner lost control of the WMP Bank and became a minority shareholder. Noteworthy is the fact, that Czech Industries was majority-owned by Stratton Oakmont, a broker house that was closed by the Securities and Exchange Commission because of fraud. Minority shareholder at the WMP-Bank, that was now renamed “General Commerce Bank,” was as well the Hypo Alpe Adria Bank. Koessner did a lot of work to establish the relationship with this bank, before he lost control at the WMP. As a result, Hypo Alpe Adria Bank sold shares and bonds of Global Capital partners to its customers, worthless shares as it would turn out and many of the customers were at that time suing the bank. Regis Possino, former US lawyer, who was arrested after he tried to sell in 1978 Cocaine to undercover agents. He tried also to land a deal over the monthly sale of Cocaine at a street valued at US$680,000. He tried to sell stolen bonds to the public, and was arrested during his trial because he tried to influence one member of the jury. Possino was disbarred as a lawyer in 1984 because of his criminal record. In 1996, he was again sentenced for stock fraud. Amador Pastrana, Filipino king of the “boiler rooms”. He allegedly commandeered at least 100 boiler rooms, offices, where fraudulent telemarketing of worthless shares is organized from. Sherman Mazur, US citizen, convicted in 1993 in Arkansas for severe check fraud and sentenced to five (5) years imprisonment. Mazur allegedly authorized, while in prison, Amador Pastrana to continue with his fraudulent activities. Raoul Berthaumieu, a Canadian of Belgian origin, alias Raoul Berthamieu, alias Lee Sanders, convicted for check fraud in the US in 1991, met in prison Sherman Mazur, who allegedly taught him there a thing or two. Adnan Khashoggi, international arms dealer and fraudster, involved in the Iran-Contra Scandal. While irrelevant for this research, Adnan Khashoggi’s sister Samira Khashoggi Fayed married Mohammed Al-Fayed and was the mother of Dodi Fayed. 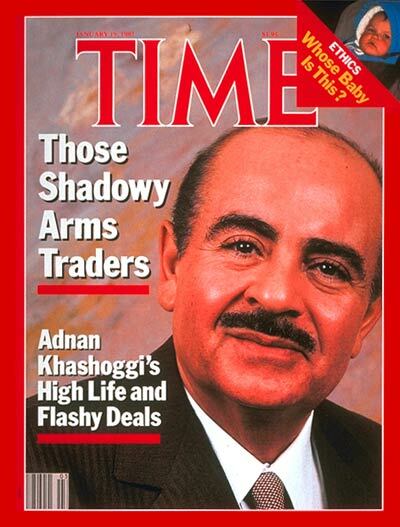 At some point, Adnan Khashoggi was for practical purposes considered to be a marketing arm of Lockheed. Rakesh Saxena, Indian, international megafraudster, allegedly committed fraud at the Bangkok Bank of Commerce in the 1990s, together with the then CEO Krirkiat Jalichandra, to the tune of US$2.2 billion and thus triggering the Asian Banking Crisis in 1997. Saxena fled with allegedly US$88 million “pocket money” to Canada and continuing his fraudulent activities there from self-paid house arrest. Extradition procedures to Thailand (Thailand wanted him) lasted until 2009. This crack crew, with Saxena under house arrest via the phone, allegedly turned the WMP/General Commerce Bank in 2000 into a boiler room, with the fraud allegedly amounting to US$ 1 billion within 1 year. Dr. Kulterer, CEO of Hypo Adria until 2006, trusted Berthaumieu, the convicted fraudster, according to information he received from the police (The local police station?) an honest man! The Hypo Alpe Adria Bank gave Berthaumieu several loans and tasked him to sort out “problems” at the General Commerce Bank. In late 2000, Berthamieu introduced Adnan Khashoggi to Dr. Kulterer and his team. A couple of months later, reacting to pressure from the FBI and SEC, the General Commerce Bank was closed by the Austrian authorities. One would expect that the day for departure or better sacking of CEO of Hypo Adria, Dr. Kulterer had arrived by now, however the clocks in Haider’s Kaernten/Carinthia were ticking in a different way. Kaernten/Carinthia was, as already mentioned, the biggest shareholder of Hypo Alpe Adria bank. And the Governor (Landeshauptmann) of Kaernten/Carinthia is Joerg Haider. Haider praised Dr. Kulterer as “Visionary” and “Austria’s Best Bank Manager.” Kulterer in return gave a loan to Haider’s then party, the FPOe, for expected election expenses with terms through 2013. Obviously the voters in Kaernten were “owners” of his party and were going to serve as collateral. Kulterer accompanied Haider on his trip to Libya in 2000 meeting with Gaddafi, when Libya and Gaddafi were still part of the “axis of evil”. In 2003, however, Ed Fagan, U.S. star-lawyer entered the stage and took CEO Kulterer and his Bank to court. He accused them of insider trading, fraud and falsifying balance sheets. Kulterer in return lodged a complaint with the state prosecutor in Austria, accusing Ed Fagan of blackmail. In 2004, Dr. Kulterer could prove, what a ‘visionary’ he was. His bank started trading in Swaps and within 14 days lost €328 million. His bank managers then allegedly tried to hide the loss in the balance sheet by stretching it over several years, a criminal act which came under the spotlight in a parliamentary subcommittee of the Austrian parliament. And he allegedly informed the supervisory board only six (6) months later. And when the bank ran short of the legally required capital, the bank allegedly issued shares and sold them to customers, giving them at the same time loans in order to buy them, the loan supplied from a subsidiary of the bank in Liechtenstein, re-routing then the money via Virgin Islands back to Austria – a carousel as a money-spinner. Dr. Kulterer had to vacate his position as CEO however was immediately installed as head of the Supervisory Board, the ‘visionary’ became the controller. Haider wanted to park him there for a while, and then put him back as CEO. And Kulterer was, in view of his performance at the Hypo Alpe offered and he accepted the job of the head of the Flick Foundation and the manager of the Flick money. As a remainder: Friedrich Flick was a convicted war criminal in the Nuremberg trials and later he became a billionaire and one of the richest, if not the richest man in post-war Germany. His son, Friedrich Karl Flick, regarded the inheritance tax, which his heirs once would have to pay as too high in Germany and hence, he emigrated lock stock barrel before his death to Austria. In February 2007, the former Croatian General Vladimir Zagorek was arrested in Vienna on request of the Croatian government. He is accused of embezzlement of state money and money laundering. He was a prominent customer of the Hypo Alpe Adria Bank, which is now also under investigation for alleged money laundering. That year, the weekly DIE ZEIT reported yet another scandal involving the bank, this time in Istria/Croatia, where large tracks of pristine state land were bought at low prices and then sold with a 200 fold price increase, after the land was subdivided into plots in collusion with the local authorities, many of them now behind bars. The Hypo Alpe Adria Bank was supposed to be floated on the stock market in 2007, however this became impossible in view of the scandals. Dr. Kulterer actively looked for a buyer and found the Bavarian “Landesbank” (county bank) 100% owned by the state of Bavaria/Germany as being very interested. Haider flew on May 16, 2007 to Munich to seal the deal. He was not only met by the CEO of Bayerische Landesbank, Werner Schmidt, but also by the Bavarian Finance minister Kurt Faltlhauser and Home Affairs Minister and future Prime minister of Bavaria, Guenther Beckstein. They did, what the European Union refused to do, to negotiate with and thus uplifting the reputation of Haider. And they were not only meeting him, but also exploring ways to strengthen the ties between Bavaria and Kaernten. The sale of the Bank went ahead not without another suspected scandal: Insider Trading. An investment Company headed by Tilo Berlin, the Berlin AG, where the Flicks had also invested their money, bought in January, when the negotiations started with Bayerische Landesbank, 4% of the shares, and another 10%, when the negotiations were coming to a close. These shares were now sold to Bayerische Landesbank with 50% gain, 148 million Euro profit, and cash to carry in less than 6 months. If this is not Insider trading, what is it? However there are more scandals connected with this bank. On April 22, 2005 the Hypo Alpe announced, that they had acquired for €20 million from the state, the prime land in Belgrade’s city center. What the Hypo Alpe regional representative did not tell was, that this plot had a history. It was called “Three Tobacco Leaves” and was owned for generations by the Jewish family Galich. Two of the family members were killed in 1944 by the SS when they tried to defend the building against German troops, on the retreat, who wanted to blow up the building, which they eventually did. Immediately after the Germans had left, the Galich family rebuilt the Three Tobacco Leaves Building, however were later expropriated by the Tito government of Yugoslavia. The Galich Family Emigrated to the U.S. The building was eventually torn down by the Milosevic Government of Serbia. Potential buyers were advised by the Galich family, that they intend to reclaim the plot from the state, and thus no buyers came forward until eventually the Hypo Alpe Adria Bank entered the stage. Totally disregarding the interests of the Galich family and the history of the plot and its former buildings on it, Hypo Alpe Adria Bank grabbed the plot. However, protests against this ridiculous grabbing mounted and in May, 2005 several hundred people, some of them Holocaust survivors, demonstrated in front of the Hypo Alpe headquarters in Belgrade. The local newspapers, reporting about the scandal, asked, whether the Hypo Alpe had learned nothing from the scandal related to the Croatian ski-athlete Ivica Kostelic in 2003. The Nazi-System was a healthy system for an ambitious person. Before a start to one slalom, he felt well prepared like a German soldier on the 22nd of June in 1941 (the day, Hitler attacked the Soviet Union). The Nazi Regime equals to 2000 years of Roman history, compressed into 12 years. The Communists were worse than the Nazis, because under Nazi rule one could pursue a career. He was excited when watching in a movie the attack of the Nazi air force on Britain, the so called Battle of Britain. As a remainder: England was at that time alone in its fight against Adolf Hitler’s army. In a heroic performance the British pilots pushed back Hitler’s air force. Their performance was acknowledged in Churchill’s historic speech in the commons “never before in history owed so many so much to so few”. One would have expected, that the Hypo Alpe Adria bank would have immediately cancelled the sponsorship. That did not happen. They were satisfied with a lukewarm apology from Kostelic. What Happened to the Alleged WMP Criminals? Regis Possino was still in business as of February 2013, a resident of Pacific Palisades in Los Angeles (perhaps your neighbor?) when he was charged with 13 others, including Sherman Mazur, for manipulating stock prices, and could face life in prison, for allegedly manipulating stock prices and causing more than 20,000 investors to lose over $30 million. After the fall of HAA Bank, in 2009, he was with his company “Geneva Equities” on a “roadshow” in Asia and collected US$ 28 million from investors. Geneva Equities was also involved in a fake company by the name of “L-Air” supposedly to be an airline, however its planes never made it to the runway, only the money of the investors flew away-forever. Sherman Mazur was arraigned together with Regis Possino in February 2013, and they were held with no bail, awaiting their trial. In 2009, Mazur was busy in the United States. He created a company with his children by the name of “Accu-Poll-Holdings”, and was selling the shares via boiler-rooms, the usual story. Adnan Khashoggi, now close to 80 years old, is allegedly in either the United Arab Emirates or in Monaco and enjoying his retirement. Deutsche Bank, Germany’s biggest bank, paid US$ 350 million US Dollars in compensation for share fraud, in which both, Deutsche Bank and Khashoggi were involved, in the GenesisIntermedia scandal. Khashoggi, along with Ramy El-Batrawi, was the principal financier behind GenesisIntermedia, Inc. (formerly NASDAQ: GENI), a publicly traded Internet company based in Southern California. After the September 11 attacks, Khashoggi’s U.S.-based checking accounts were frozen and Khashoggi was unable to make a margin call with Native Nations Securities, whose CEO and largest shareholder, at the time, was Valerie Red-Horse, former office manager of junk bond king Michael Milken. In turn, Native Nations and Red Horse were unable to meet their obligations on the margin loan to MJK Clearing, Inc. Trading in the stock of GenesisIntermedia was halted in September 2001. Khashoggi’s unwillingness to pay his margin loan to Native Nations Securities, and Native Nations (and Red Horse’s) inability to pay its debts to MJK Clearing, began a series of bankruptcies that ended in the largest payout in Securities Investor Protection Corporation history. Native Nations Securities and MJK Clearing both eventually filed for bankruptcy. Rakesh Saxena was put in prison, pending extradition to Thailand. On October 29, 2009, he was deported to Thailand after fighting the longest extradition battle in Canadian history, which lasted thirteen (13) years. He is accused of embezzlement in 1994-1995. He is widely reputed to have been engaged in dozens of high risk ventures and deals throughout the world over the previous three decades. Saxena has been accused of many things but has not convicted of anything yet. In India, Saxena has been accused of culpable homicide, extortion, uttering death threats and cheating in the death of biscuit tycoon Rajan Pillai. Those allegations were laid after the tycoon’s widow, Nina Pillai, accused Saxena and three others of conspiring to kill her husband. Former bank officials in Thailand have claimed that Nina Pillai continued to be financed by Saxena after her husband’s death. The Government of Thailand accuse Saxena embezzling $88 million from the Bangkok Bank of Commerce (BBC) and sought his extradition from Canada. The bank had separately filed civil proceedings against Saxena. He has filed a counter-suit. The collapse of the BBC was one of the first dominoes in a financial crisis that spread across Asia, shaking the world economy in 1997. While some blame Saxena for sparking the inferno – The Wall Street Journal described him as the “Mrs. Leary’s cow of the global financial crisis” – he is not facing court action on that score. He is also linked to some of the major hedge fund problems of the late 1990s, particularly problems linked to third world bonds and leveraged currency and interest rate derivatives on such bonds and to problems now associated with Russian and East Europe privatizations of the Yeltsin era. No charges were laid in the ill-fated Sierra Leone affair. The British Parliament’s Report of the Sierra Leone Arms Investigation concluded that the purchase of weapons with Saxena’s money only technically broke a United Nations embargo and that Canada was not yet enforcing the embargo. Raoul Berthaumieu did not get a good reputation either. If you put the name of his company, Pacific Federal SA into a search engine, plenty of warnings appear, not to do business with this company. In 2001, Raoul Berthaumieu, was a head of the supervisory board of GenesisIntermedia.